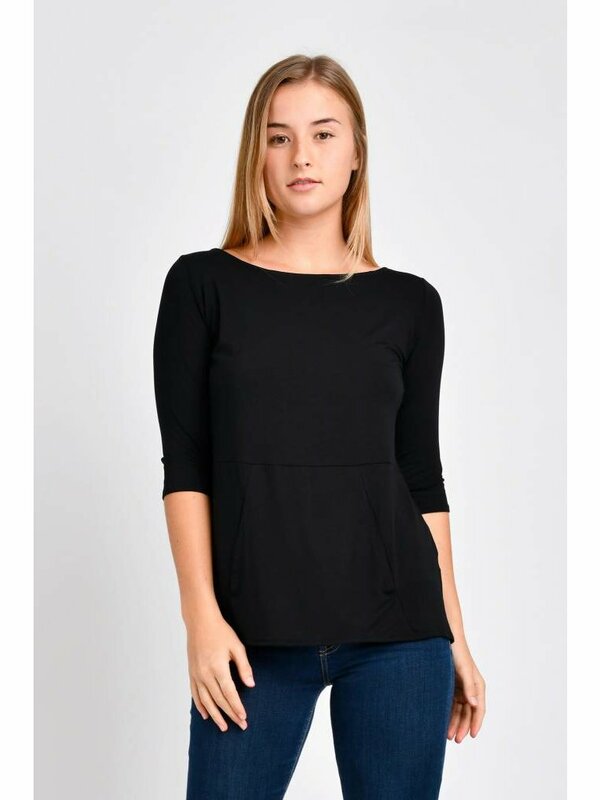 The Meg is a top selling blouse. 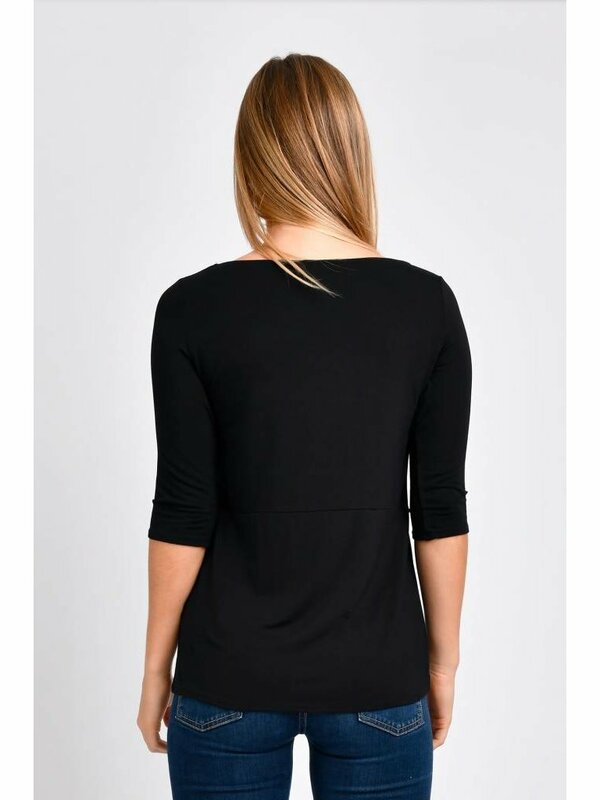 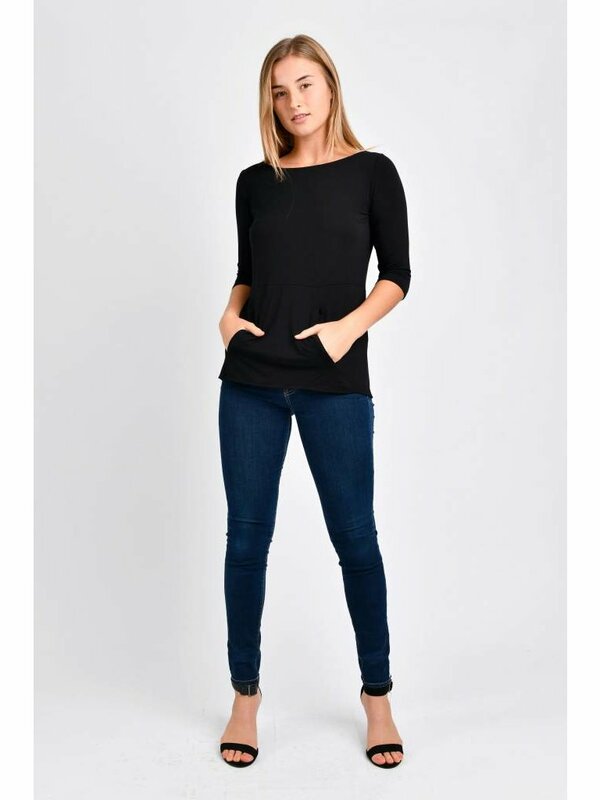 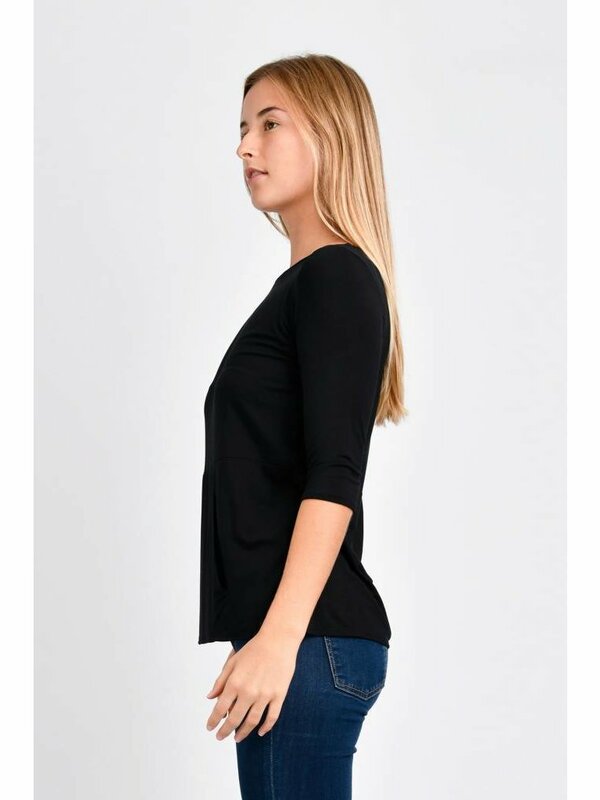 It features a sweater pocket in the front, simple boatneck, and 3/4 sleeves. 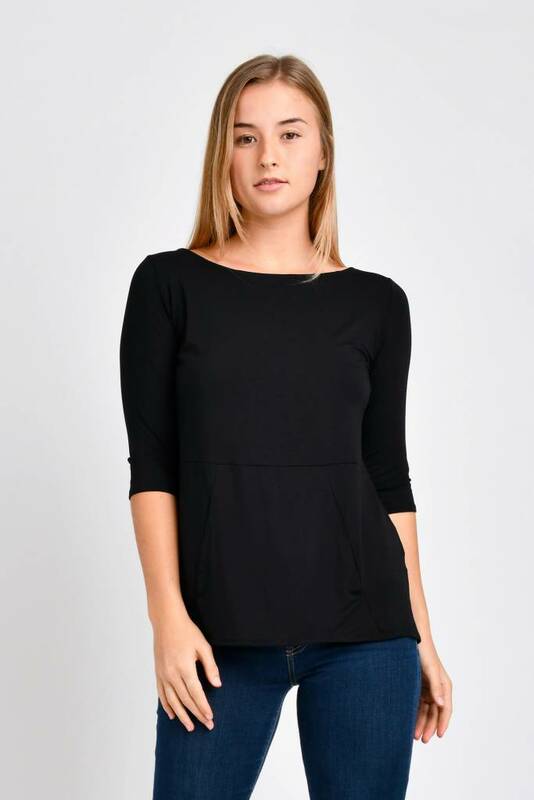 This is an easy piece to layer or pair with anything.